The crowd, I am sorry to say, laughed. The most offensive thing about this joke isn’t that it’s horribly misogynistic, offensive to survivors of assault, or that it’s ageist—all of which is true—it’s the kind of bad, formulaic joke that every Daniel Tosh wannabe has once said at an underground stand-up comedy night, the kind that makes the women deeply uncomfortable but renders a few cheap laughs that he mistakes for affirmation of a talent he clearly does not possess. “My opponent apparently thinks sexual assault is a joke. 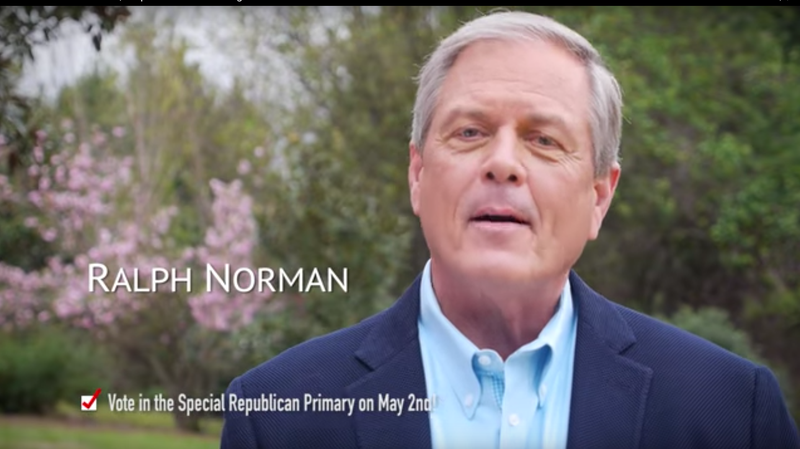 It is not,” said Archie Parnell, Norman’s opponent. “But I guess that’s the best we can expect from someone who pulled a loaded gun on his own constituents.” I agree with Parnell, but Parnell doesn’t get to claim any moral high ground, either. According to divorce papers obtained by the Post and Courier, he was accused of beating his ex-wife. Best of luck to the constituents of Rock Hill, South Carolina, who have an unenviable choice to make in the upcoming election.